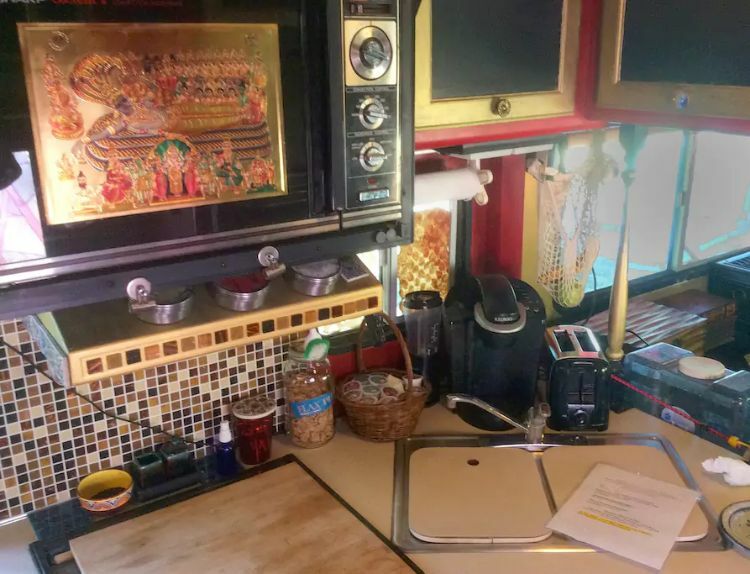 Feast your eyes on The Rockin Moroccan: a one-of-a-kind artist retreat and otherworldly paradise in the form of a maroon and gold RV. 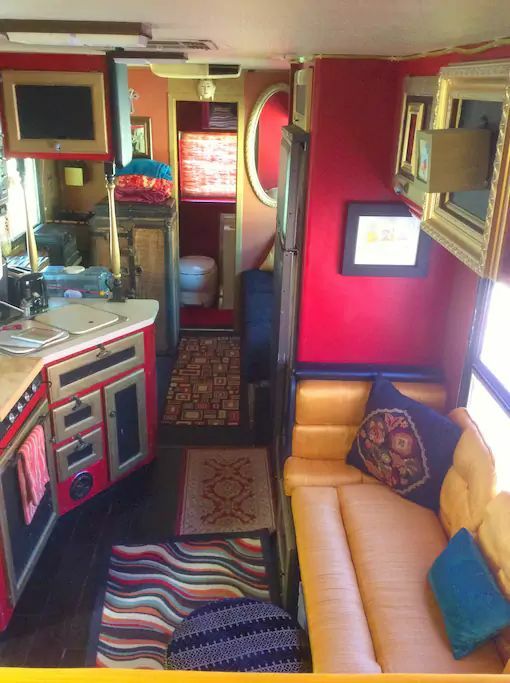 The Rockin Moroccan is bold, unique, and definitely not the type of vehicle you see cruising down the highway on an average day. Which is why when you book this colorful retreat on Airbnb, you will be in for a very special stay. To experience the magic you have to travel to the beautiful San Diego, California. 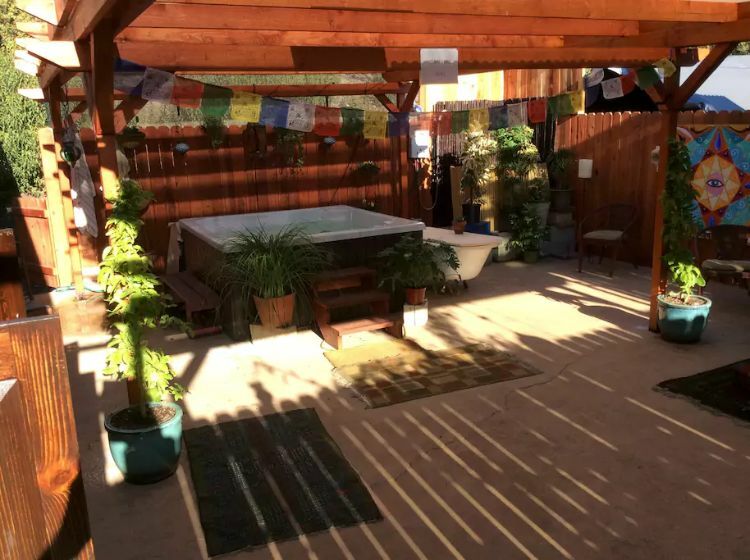 The property is in a prime location and is only a seven-minute drive from Downtown. You will enjoy a private, gated lot with gorgeous indoor and outdoor living areas. When you walk around the property, you'll even find an added surprise. When you approach the front door, you will first be impressed by this amazing outdoor living room. 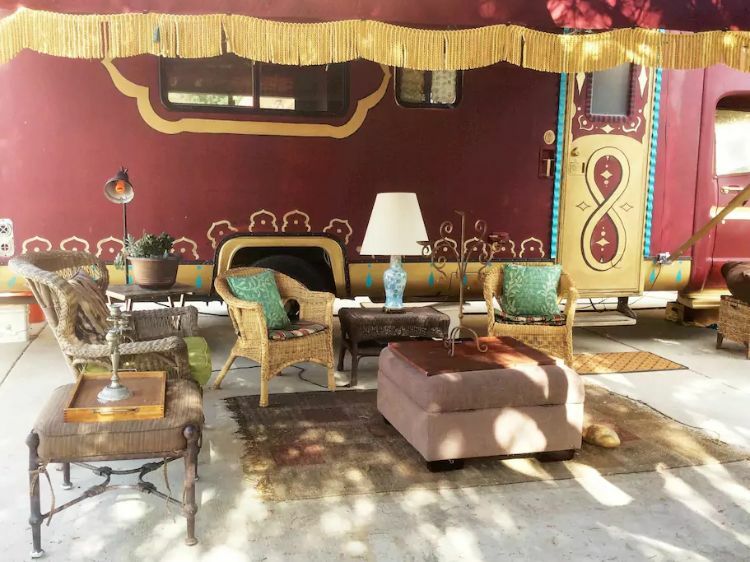 Perfectly shady and protected by a large, tasseled awning, this space is great for entertaining, reading a book, or working on your latest novel. 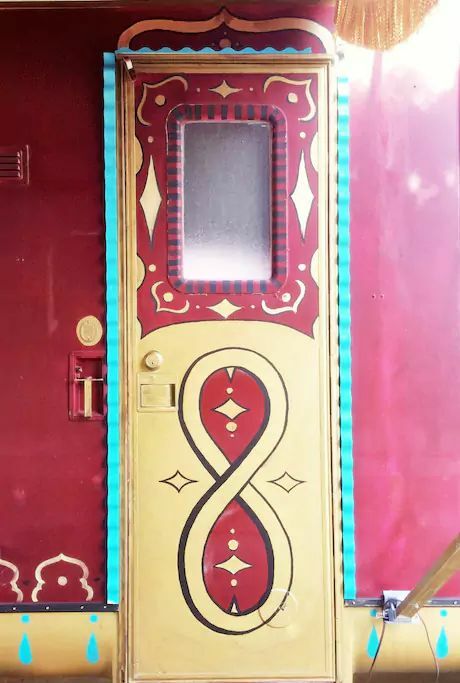 The door itself is a work of art. The maroon and gold color palette also makes its way indoors. We love the liberal use of color and bold, shiny surfaces. The kitchen is stocked with your favorite coffee or tea. 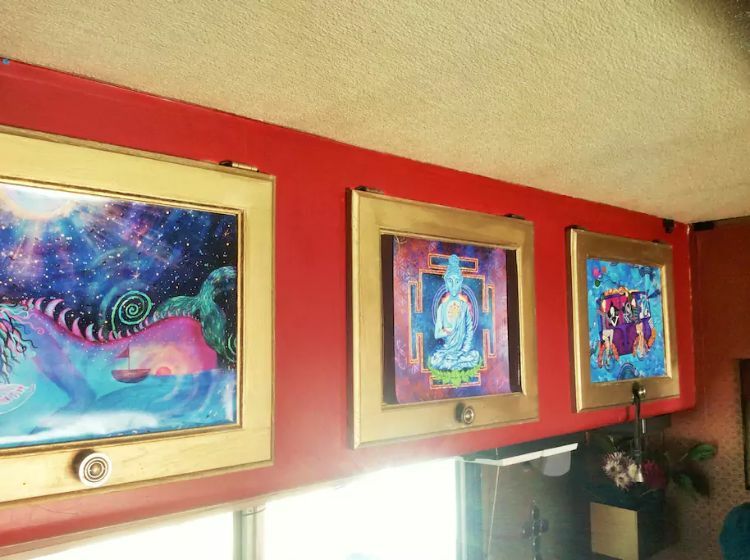 You'll never run out of art to admire on this vacation. 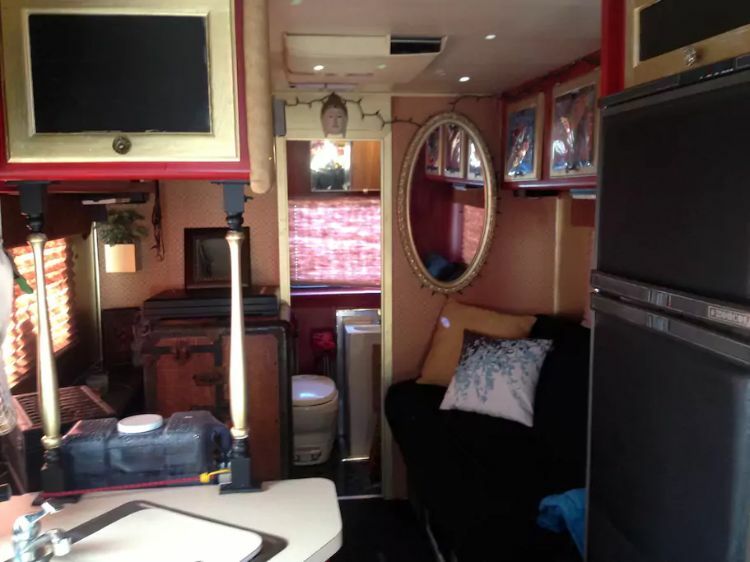 Above the driver's seat is a cozy loft that comfortably sleeps two. 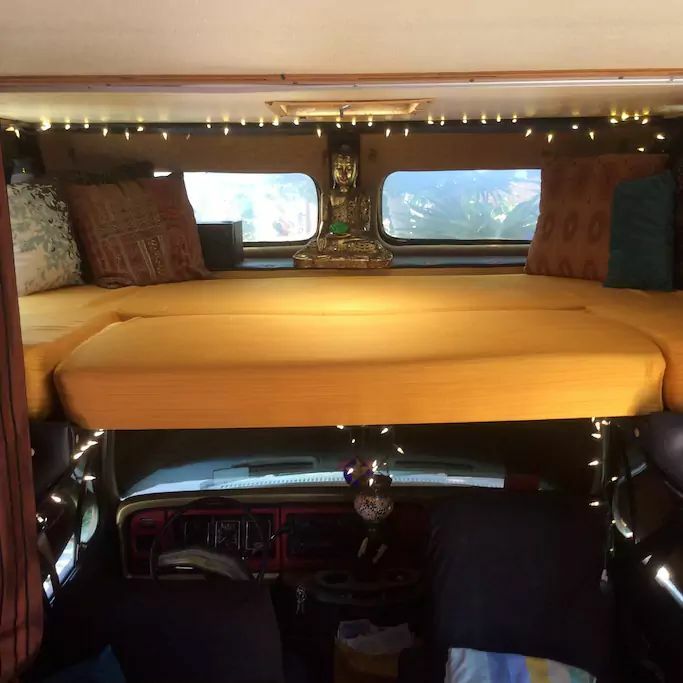 There is also a pull-out sofa as an alternative sleeping option. Down the hall, you will find a small restroom with a toilet and a half-sized shower. Last but not least is the private, outdoor spa at your disposal. Make sure you reserve a time slot and enjoy some time treating yourself. 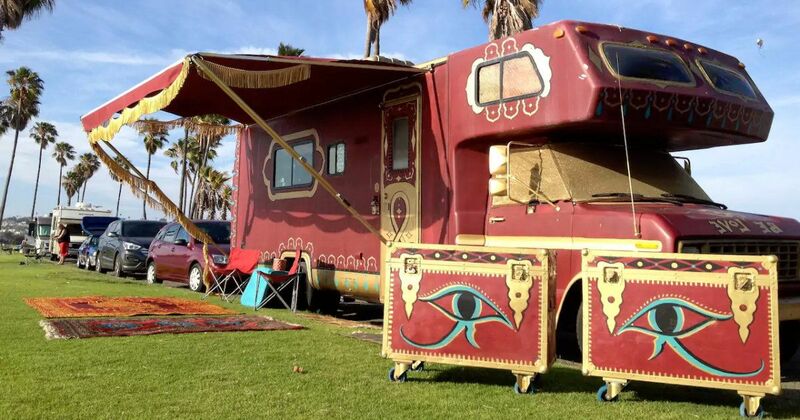 How cool is this artful RV? If you love it as much as we do, don't forget to share it with your friends on Facebook and let us know what you think in the comments!